We all know someone who has quit smoking but still says that they like to have one with a drink, or after a meal. What a terrible place that is to be to quit smoking but still feel you are craving those smokes. Having to deny yourself something you want all the time. Having worked with smokers for over a decade, I use a tried and tested approach that helps you become a true non-smoker, not just someone who is resisting smoking. 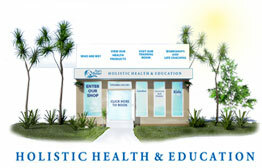 My approach to stop smoking cessation hypnotherapy changes the unconscious mind of a smoker to an effortless non-smoker. 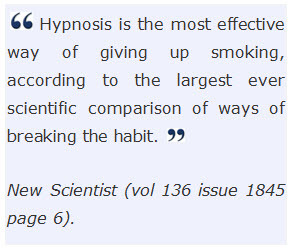 The stop smoking hypnosis techniques I use address every single psychological trick that smoking addiction plays on you and frees you from its grip. Smoking cessation hypnosis with me will gently move your mind from its current addicted state to a complete freedom from cigarettes. No more worrying whether you have enough cigarettes left. 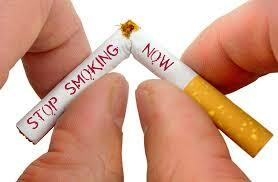 No more stressing about what smoking is doing to your pocket or your health. Call me now and I’ll send you an eBook called ‘Get Ready to Quit Smoking’ which will help you prepare in a way that will make quitting smoker much easier than you could ever have imagined.